The Stroke Awareness Foundation (SAF) has improved community awareness and better prepared families and loved ones for what can be the devastating effects of stroke. We support hospital stroke center certification, training and redirection efforts of paramedics and emergency care, as well as continued education about the warning signs of stroke and the need to seek proper medical care immediately. Before SAF was founded in 2002, Santa Clara County had neither a single certified stroke center, nor a redirection policy to ensure stroke victims were taken to the proper hospital. Today, there is a different story to tell. SAF was instrumental in helping local hospitals to become Certified Stroke Centers. There are currently 9 (nine) Primary Stroke Centers certified by the Joint Commission for Accreditation , 3 (three) Comprehensive Stroke Centers in Santa Clara County. 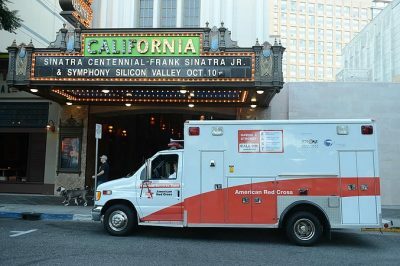 In 2003, Good Samaritan Hospital was the first of five in the country and the first in Santa Clara County to become a Stroke Certified Hospital. Stanford Hospital became the first in the country to receive the Joint Commission’s new Comprehensive Stroke Center certification. 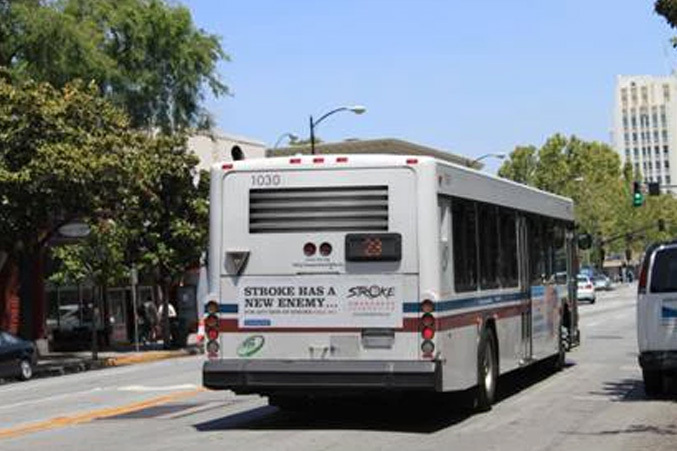 SAF advocated for a policy to redirect emergency medical transportation in Santa Clara County so that all stroke victims will be transported directly to a Certified Stroke Center. This ground-breaking legislation, unanimously approved by the Santa Clara Board of Supervisors, was the first of its kind in California. SAF has reached over millions of people through our participation in local health fairs and health related events including two regional symposiums at Stanford University. The “Act FAST!” message has been reflected on VTA buses, informational sticky notes, banners, newspapers articles in English, Spanish and Vietnamese. SAF continues to facilitate media advertising for National Stroke Alert Day with more than a dozen county agencies. SAF has received significant attention from local and national media outlets, such as San Jose Magazine, San Jose Business Journal, The San Jose Mercury News, Silicon Valley News, CNN and The Wall Street Journal. 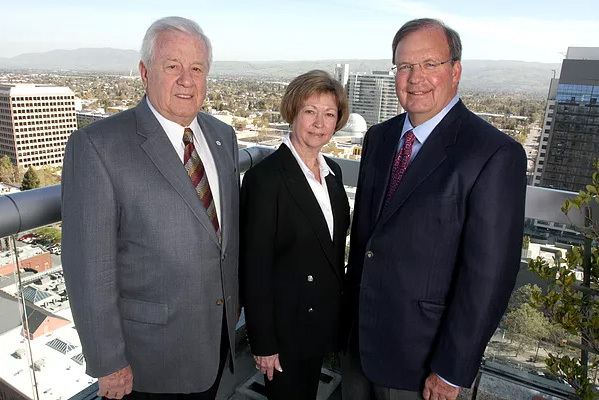 2002: SAF was founded by Pat Dando, Chuck Toeniskoetter & Chuck Hoffman. SAF prompted the Joint Commission to perform stroke hospital certifications. 2009: Santa Clara County has 10 Primary Stroke Centers (PSC), more than any county in the U.S. Since 1983, Bill has been a part of Brandenburg Properties, a generational San Jose-based real estate investment firm. He oversees daily operations for investments in 7 states. He is a 4th generation San Josean and has served his community on a number of fronts. 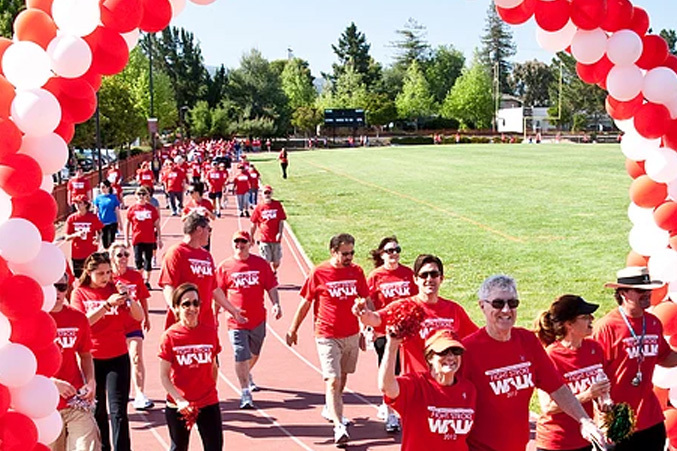 Bill is also the recipient of numerous distinctions and recognitions from a variety of organizations over the years, but what’s most important is his commitment to advancing stroke awareness. Bill’s experience with stroke was as a result of his mother suffering one in the fall of 2006. A nurse by formal training and always in excellent health, Bill’s mom suffered a stroke while at home. Not fully realizing what was happening to her other than being dizzy and suffering a headache, she went to lie down and rest, thinking that would help—never thinking “stroke”. Four hours later, Bill and his brother found themselves at the ER with their mom—who had initially suffered a mild stroke, but grew over time in intensity and impact. She never recovered, was unable to manage herself and 15 horrible months later, she passed as a result. Bill pledged then that he would do whatever he could to spread the words “stroke awareness” more diligently and meaningfully than ever before so no family would have to experience what his did. It is with this passion that he shares his thoughts, time and talent with the Stroke Awareness Foundation in bettering our community, saving lives and the functionality of lives. Robert has been with Cisco for nearly 19 years and as the Client Director functions as the senior business leader and as a general manager responsible for the strategic relationship with one of Cisco’s largest enterprise accounts. He is the primary interface for the client executive leadership team and is responsible for overall customer satisfaction, total revenue and profit contribution growth plus all sales, service, finance, legal and technical aspects of the customer relationship. Robert was raised in California and currently lives in Los Gatos with his wife and has 3 children in college. In his spare time he enjoys outdoor activities including: triathlons, swimming, running, and mountain biking. Noemi Conway assumed the position of Executive Director for the Stroke Awareness Foundation in June 2015. As a marketing and sales professional, Ms. Conway has dedicated the last 19 years helping companies and organizations become leaders in their industry. Her work in local media, Los Altos Town Crier, Silicon Valley Newspapers and most recently, Bay Area Parent Magazine encouraged her passion for community involvement and her interest in community outreach. Ms. Conway graduated from San Jose State University with a Bachelor of Science degree in Business with a minor in Advertising. Ms. Conway was born and raised in Slovakia and currently lives in San Jose with her husband and sons. Greg Davies is a longtime business and community leader in Silicon Valley. He has been active in the commercial real estate industry for nearly 45 years. Greg became interested in SAF after suffering a major stroke in 2003. He believes strongly that if educated about the symptoms of stroke, more people can survive them, and live long healthy lives. Given rapid treatment, it is his belief that complete recovery is likely. Greg has previously volunteered with the Downtown San Jose Rotary Club, as well as served on the boards of the San Jose Silicon Valley Chamber of Commerce, the San Jose State Alumni Association, and the Montalvo Association, and the Association of Silicon Valley Brokers. Greg lives in Los Gatos with his wife, Carolyn, and has two grown children and five grandchildren. He holds both a bachelor’s degree and MBA from San Jose State University. Matthew Stein has been with Cisco for over 14 years, initially as an RF Engineer in the wireless team, but has also been a technical lead on Data Center and collaboration technology. With an eye always towards customers he spent time as an EIR (Entrepreneur in Residence) and most recently is a sales engineer supporting one of the largest healthcare organizations in the country.In addition to volunteer work with SAF, Matthew is an executive board member with the Red Cross FAST Group (First Aid Services Team) that provides medical services to over 200 community events throughout the greater Bay Area. Matthew lives with his wife and three very active dogs in San Jose. He holds a bachelor of science degree in electrical engineering from Case Western Reserve University and minors in English, Economics and Computer Engineering. Charles Toeniskoetter is Chairman of TBI Construction & Construction Management, Inc., which has constructed more than $750 million of buildings, and Chairman and CEO of Toeniskoetter & Breeding, Inc. Development, which has developed 2.5 million square feet of buildings and manages a portfolio of two million square feet. He co-founded both companies in 1983 in San Jose. He also heads the partnership that owns resort properties at Bear Valley in Alpine County. Mr. Toeniskoetter is a director of three publicly held companies, Heritage Commerce Corp., SJW Corp., and the Redwood Trust, Inc. His volunteer work has included University of Notre Dame, San Jose Development Review Committee, Downtown San Jose Rotary Club, O’Conner Hospital Board of Directors, Valley Medical Center Foundation, Archbishop Mitty High School and the Children’s Discovery Museum. Mr. Toeniskoetter graduated from the University of Notre Dame in 1967 with a BS in mechanical engineering, and from the Stanford Graduate School of Business in 1973. He served in Vietnam with the Marine Corps. Pat Dando passed away July 17, 2017 from lung cancer. She led the San Jose Silicon Valley Chamber of Commerce as Chief Executive Officer and President from 2005-2011. Ms. Dando also served in Governor Schwarzenegger’s administration as the Director of Local Government Affairs providing leadership for such initiatives as the San Joaquin Partnership, the Governor’s decision to pay Proposition 42 money to Cities and Counties and the coordination with the State office of Emergency Services and local electeds of Cities/Counties across California to provide outreach for the victims of Hurricane Katrina. Pat previously served as a San Jose City Council Member and Vice Mayor from 1995-2005. Ms. Dando received a bachelor’s degree in elementary Education and English from North Texas State University, and in 2002 she graduated from Harvard University’s John F. Kennedy’s School of Government in Leadership for Elected Officials & Public Executives. Pat lived in San Jose with her husband Bob. They have three grown children and nine grandchildren. Pat enjoyed golf, bridge, hiking and travel. Dr. Gregory Albers has been the Director of the Stanford Stroke Center since its inception in 1992. He joined the Stanford University Medical Center in 1988 and has served as Professor of Neurology and Neurological Sciences since 1999. Dr. Albers is a leader in the clinical care of stroke patients as well as cerebrovascular research and education. Dr. Albers has published more than 150 articles in the medical literature and has been the principal investigator of more than 50 clinical studies. Dr. Albers has chaired multiple consensus panels that have published national and international guidelines for stroke treatment and prevention. Under his guidance, the Stroke Center has trained more than two dozen clinical stroke specialists; many of whom are directing stroke centers at academic institutions throughout the country. Dr. Albers’ current research focus is the use of new MRI techniques to expand the treatment window for administration of intravenous thrombolytic therapy. He is currently leading a National Institutes of Health-funded multi-center clinical trial investigating the role of diffusion and perfusion MRI in identifying patients who are most likely to benefit from stroke therapies. Dr. Albers earned his MD at the University of California, San Diego in 1984 and completed his Internship, Residency and Fellowship at the Stanford University Medical Center. Dr. Raj Bhandari is the physician in chief and chief of staff for The Permanente Medical Group (TPMG) at Kaiser Permanente for multiple sites in the San Jose area. In this role, Dr. Bhandari leads more than 450 physicians and 2,000 staff to ensure that more than 230,000 Kaiser Permanente members receive the exceptional care that Kaiser Permanente San Jose has been known for and trusted to deliver. As a practicing neurologist, Dr. Bhandari has dedicated his entire career to serving TPMG at the San Jose Medical Center. In 1983, he joined the Neurology Department. In 1997, he became the chief of Neurology and was elected to the TPMG board. In 2003, he was appointed physician in chief and chief of staff. Dr. Bhandari has helped lead many improvements to stroke care at Kaiser Permanente San Jose including a program redesign that significantly decreased tPA time door-to-door, allowing for rapid transfer of patients that may require endovascular stroke treatment to the Kaiser Permanente Redwood city Comprehensive Stroke Center. Kaiser Permanente San Jose received the Primary Stoke Center Certification from Joint commission in 2005, and is also recognized by the American Heart Association with the Platinum Get with the Guidelines Award for Stroke Care. Over the years, Dr. Bhandari has been recognized for numerous outstanding achievement awards including Bay Area Consumer Checkbook as a Top Neurologist and San Jose Magazine’s list of Top Docs. In 2005, he was selected by the California Health Care Foundation as a two year fellow to better understand and fulfill the health care needs of all Californians. Following completion of a yearlong program, he now serves as a senior fellow with the American Leadership Forum. In 2013, the Silicon Valley Business Journal presented him with the Excellence in Healthcare Award, and in 2016, he accepted the Benjamin Cory, MD Award from Santa Clara County Medical Association. Dr. Bhandari graduated with a medical degree from The Armed Forces Medical College in India. He is board certified in Neurology, and completed his Neurology residency training at Ohio State University followed by two years of Neurology fellowship training in Behavior Medicine and Clinical Neurophysiology at the Stanford/Valley Medical Center Neurology Program. Dr. Bhandari has been on the board for Children’s Discovery Museum since 2005 and has also served on the SOMOS Mayfair Medical Advisory Board in the past. He was a member of the Santa Clara County health department federally funded taskforce to reduce smoking and prevent obesity, and constantly looks for opportunities to promote health and wellness in our community. Dr. Harmeet Sachdev joined Good Samaritan Hospital as a practicing neurologist in 1986 and has been director of the Stroke Center at Good Samaritan Hospital since 1997. Dr. Sachdev was the first to render t-PA treatment for stroke in the San Jose area. He created the first stroke team in a community hospital and demonstrated that acute stroke treatment can be done successfully outside the academic centers. Prior to that, he had been in private practice as a neurologist in San Jose since 1980. Dr. Sachdev has been a clinical assistant professor of neurology at Stanford University Medical Center since 1993. He has published two dozen papers, presentations and studies regarding stroke treatment and prevention. Dr. Sachdev has also been the principal investigator in six different neuroprotective studies for stroke and has been honored several times by the American Heart Association and by the American Academy of Neurology for his achievements in stroke education. He completed both his residency and chief residency in neurology at Stanford University Medical Center and affiliated hospitals. Dr. Sachdev also completed other internal medicine residency programs at Sinai Hospital at Wayne State University, hospitals associated with the University of Wales U.K, and Post Graduate Institute of India. He is an affiliate of the Western States Consortium and a member of the Stroke Council at the national level.